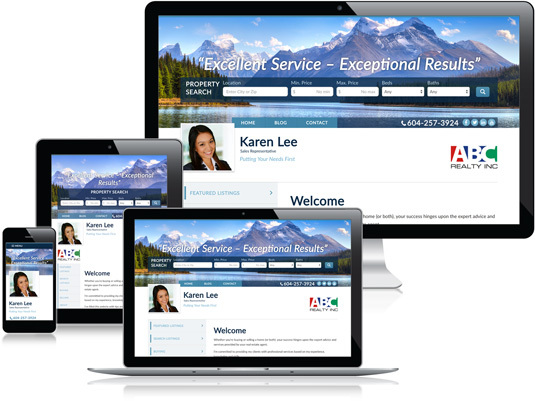 IXACT Contact makes it easy to create your own real estate agent website that builds your online brand and generates leads. Grow your reputation as a real estate expert with your own real estate blog, and capture leads automatically with our targeted lead capture forms and CRM integration. Optional MLS integration (IDX) gives you the power to pull SEO-optimized MLS listings directly into your website, giving consumers the information they crave. 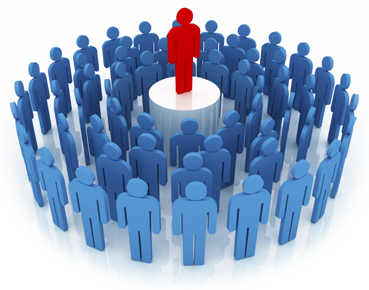 Stand out from the crowd with an attractive and engaging website powered by IXACT Contact. 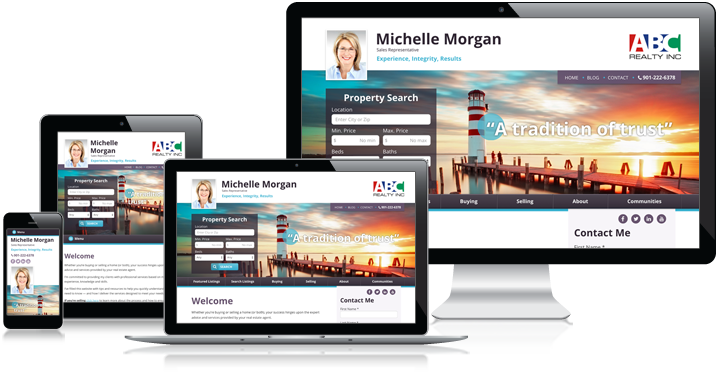 Catch your prospect’s eye, showcase your valuable knowledge, and display your listings with style when you choose from manybeautiful website designs specifically created for REALTORS®. 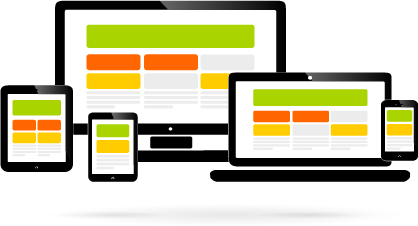 Whether you start with one of our pre-configured designs or create your design from scratch, you’ll be able to customize your website’s look and content, including page layouts, colors, banner images, and embedded video. 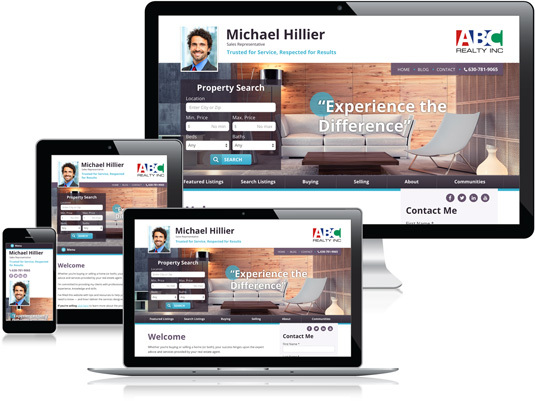 Your real estate website will also reflect your personal brand including your photo, company logo, social media links, and more. Your SEO-friendly Realtor website is the ideal place to attract andcapture high quality leads. IXACT Contact’s real estate websites include lead capture forms for buyers, sellers, home evaluations, and more. You’ll receive an email alert each time you get a new lead, and the lead will be automatically added into your CRM database. You can even auto-assign leads to a drip email nurture campaignand/or your automated monthly e-Newsletter. Never again lose business because a quality lead “fell through the cracks”. With IXACT Contact’s integrated Website, CRM, and Email Marketing solution, all your leads will receive the immediate and focused attention they need to convert quickly into clients – for you, and not your competition! These days, people often search for a Realtor from their mobile device, so it’s crucial for your website to look great on mobile phones and tablets. 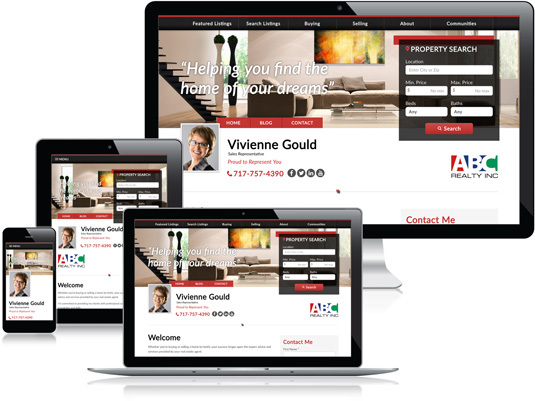 With IXACT Contact your real estate website will display quickly and properly on all popular browsers and devices including PC, Mac, iPad, iPhone, BlackBerry, Android, and other devices. 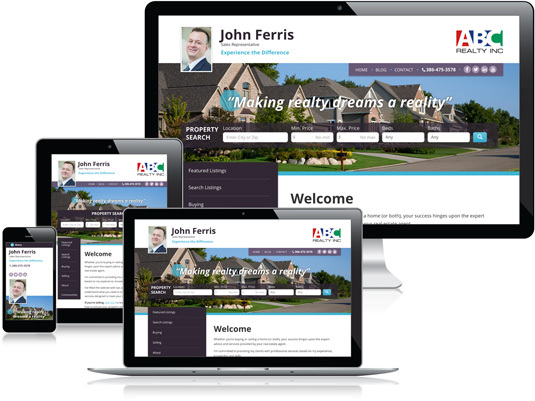 By having a website that looks great on all browsers and devices, you look like the real estate professional to potential hot leads, boosting the chances that they call you and not another Realtor. Are you a Facebook fiend or a Twitter addict? Your prospects are too. Integrate your social media feeds on your agent website to make it easy for prospects to check out your social media channels. You’ll build online credibility and website visitors will be more likely to promote you to their own social media connections. 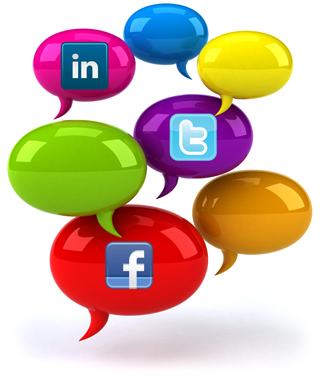 Build your social media following by adding links to your social media channels to your Realtor website. And if you’re taking advantage of our optional MLS Listings Integration (IDX), your website visitors can even share specific listings by clicking to tweet, post on Facebook, and more. Your IXACT Contact real estate agent website comes equipped with your own ready-to-use real estate blog. 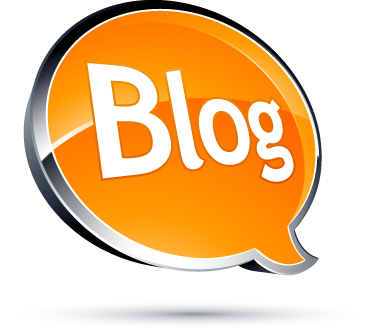 Blogging is an effective way to improve your online presence and build your credibility as an expert in all things home and real estate related. Your built-in blog is quick to set up and easy to use, and includesprofessionally written content created for you by our real estate marketing experts. You can also write your own posts, or use a mix of both. Looking to integrate MLS listings into your real estate website? IXACT Contact offers an optional IDX solution for a small monthly fee. IDX integration means the MLS search becomes part of your website, so visitors can find the home of their dreams without leaving your site. Learn more about IDX. Our IDX listings are SEO friendly and designed to drive traffic to your site, so you can enjoy a flow of valuable leads year after year.Learn more about the benefits of IDX. optional IDX upgrades. 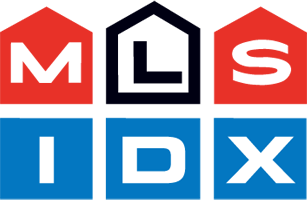 For pricing details on optional IDX upgrades click here. 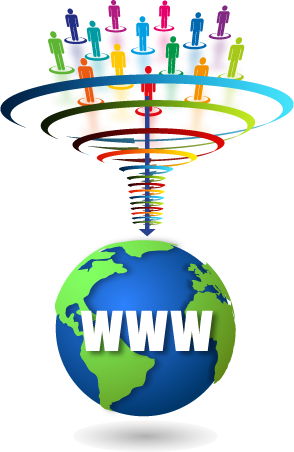 Ready to get started with your Agent Website? Watch the tutorial videos to learn how to set up your Agent Website or how to set up your optional IDX.